Do I Have To Turn Over All Of My Assets And Property To The Court When I File For Bankruptcy? No, not at all. In fact, if your attorney knows what he/she is doing, then it is quite possible that all of your belongings will remain with you (and therefore out of the Trustee’s hands). When you file a St. Louis bankruptcy, it is necessary for you to disclose to the court in writing all that you have an ownership interest in. But let’s be clear: “disclosing” your assets and personal property is not the same thing as handing them over to someone. When you make a disclosure, you are simply saying “this is what I own.” And according to the Bankruptcy Code, it is your duty to make the court aware of all that you own. Once this task is accomplished, your attorney will then attach the applicable state exemptions to your property in order to make it safe. Exemptions are like little shields of armor that are placed around your property to keep out of the hands of the Bankruptcy Trustee. Each state has certain exemptions to cover certain assets (if you have lived in the state of Missouri for at least the last two years, then MO exemptions are utilized). For example, the state allows for a $3,000 exemption for your personal property, such as furniture, dishes, appliances, etc. This may not sound like a large exemption to cover such things, but keep in mind that you will be giving “garage sale value” for these items. Garage sale value is considerably lower than what you paid for the item in the first place (or even what you think you should get for it, and certainly lower than any sentimental value attached to the item in question). Most people have household goods that are at or below this threshold, so exempting all of their things is no problem. Another good example deals with an exemption called “Tools of the Trade”. This exemption is most frequently applied towards an individual who makes his or her living literally using tools (like hammers, screw drivers, and lathes; but also other heavy equipment and material). Many people make their living by using such tools. And if the tools were taken by the Trustee, they would not have a source of income. Hence the exemption given by the state to cover these items. There are many other exemptions that are available in order to keep your things safe. But unless you consult with an experienced attorney with an expertise in the field of bankruptcy, then it is possible that some of your assets could be taken. 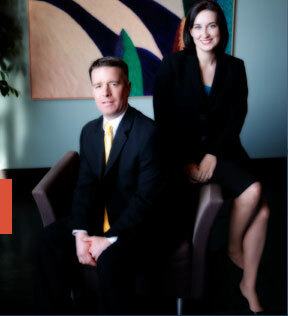 The affordable St. Louis bankruptcy attorneys at Brinkman & Alter, LLC have been helping people get through their rough financial hardships for over ten (10) years. Our goal is to make sure that you keep all of the things you own, get rid of the debt you do not want, and do it all at a competitive price. We have two locations: in the Central West End, at 1 North Taylor, St. Louis, MO 63108; and the Twin Cities of Festus / Crystal City, at 1000 Truman Blvd (Highway 61/67) 63019. The initial consultation is free of charge. So contact us today to learn more! !